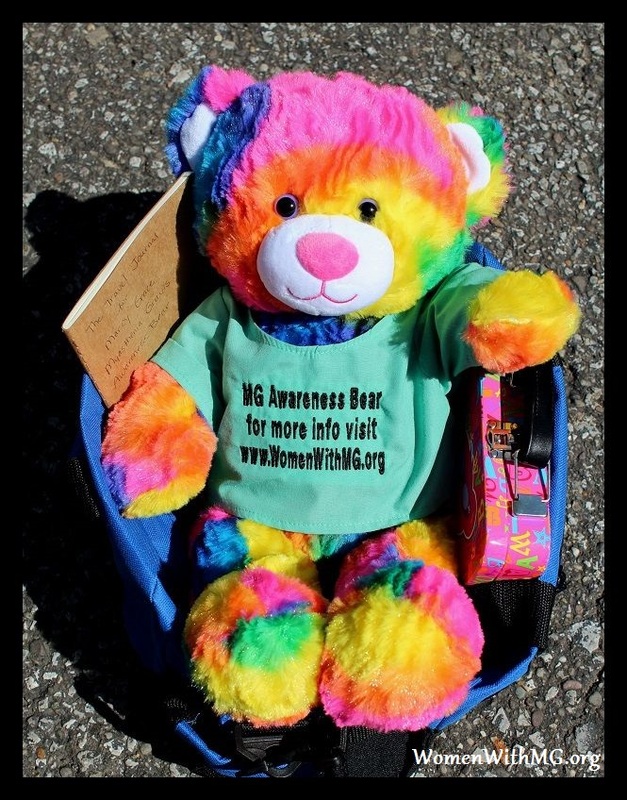 Introducing Marcy Grace, WWMG’s MG Awareness Bear! In 2014 we began planning a new awareness project for WWMG. This year we would like to introduce the world to “Marcy Grace” our MG Awareness bear! Marcy Grace will travel the world meeting MG patients from all around the globe. 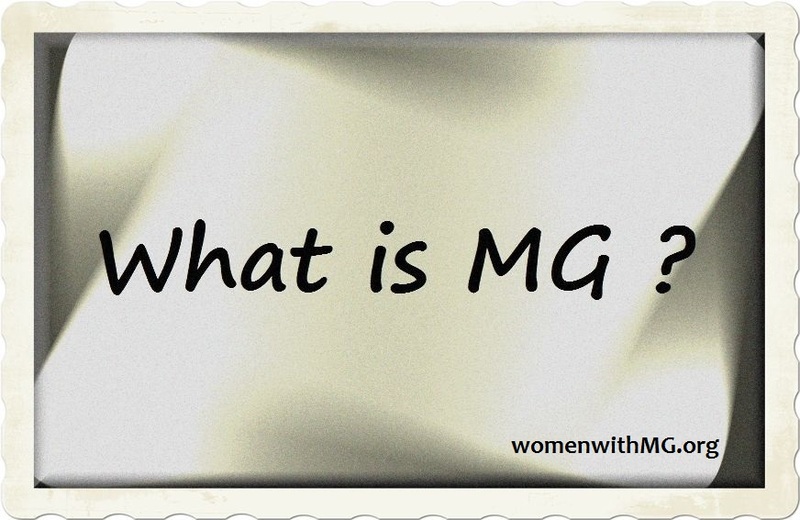 She is a wide variety of colors, to represent the diversity among individuals with MG. Myasthenia Gravis is an autoimmune neuromuscular disease that can impact anyone of any gender, race, culture, age, etc. at any time. One of our goals here on WomenWithMG.org has always been to help people to see us as more than statistics on a sheet of paper. We want you to see us for what we are – real people with a real disease living our lives and hoping for a future with a medical community that is better aware of our needs, faster at providing an accurate diagnosis, and someday what we all dream of… a cure. None of that can happen in a world where too few are familiar with Myasthenia Gravis and so few medical professionals in our local hometowns and area hospitals seem to know how to adequately address our very specific medical needs and we frequently struggle to obtain proper medical care. But you can help! You can share our posts here (using the links below) on social media, etc. and let the world know that we are here, we are fighting for our health, and we need increased action and awareness for MG patients worldwide. We will be updating everyone on Marcy Grace’s travels here on our website. We have started her journey here in the United States and eventually she will travel abroad and visit our members in other countries. We are very excited about this project! We will let everyone follow along, through a series of pictures and personal stories of Marcy Grace’s adventures, as she shares smiles and hugs with MG patients around the world! To receive email notifications of new posts, use the Blog Subscription form located at the bottom of every page on our site. Marcy Grace is already traveling and we will be posting updates of her adventures very soon! Thank you for following her journey! To share this post, use one of the sharing buttons below. Next → Next post: Bon Voyage, Marcy Grace!